> Childrens > Rattles, What Happened to My House? Mom looks around the house and groans, "Rattles, how did you do all this with your injuries?" Woofley barks and whimpers. He tries to explain to the humans, but they don't understand. When Mom comes home, she finds the house a wreck! 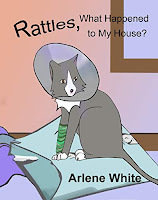 The mystery is, "How and why did Rattles manage to do all that?" 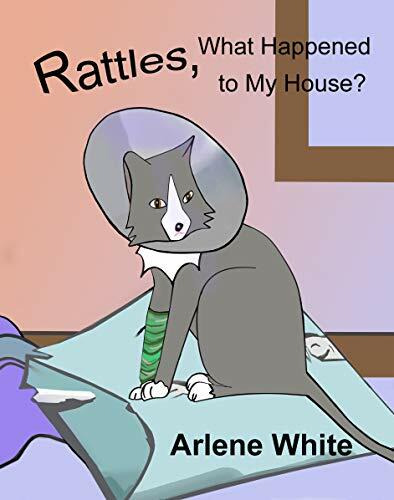 Get "Rattles, What Happened to My House?" to find out what happened! Appropriate for ages 4-9. Good read-to-me book for younger ages, and read-alone book for older ages.